Hy-Trex® High Ratio 6 to 1 Adhesive Shrink Tubing provides a watertight seal and is ideal for wet and corrosive environments and underground applications. In fact, with a fluid resistance rating of MIL-DTL-23053, a continuous operating temperature of -55°C to 110°C, and a dielectric strength of up to 24,000 volts, our electrical shrink tubing can be used almost anywhere for any application. 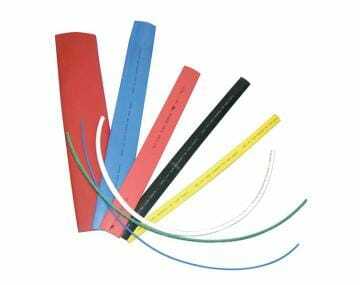 TPC Wire & Cable Corp. offers three sizes of shrink tubing to cover wire from 16 AWG through 2000 MCM cable. Our tubing is an ideal solution to provide protection for sensors and conduit, strain relief for plugs and connectors, dielectric protection for tools and pliers and corrosion protection for hydraulic cylinders and exposed sensors. Look no further for the most versatile protection on the market. 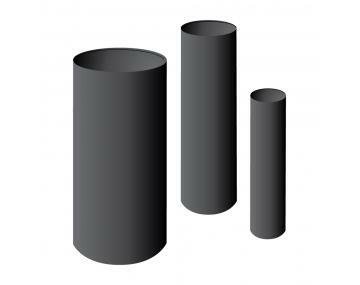 Please click the product image to browse our selection of shrink tubing.